Now we're in November I'm increasing my search for Christmas toys for Chunk and his cousins, so expect a few reviews of the best ones I find! 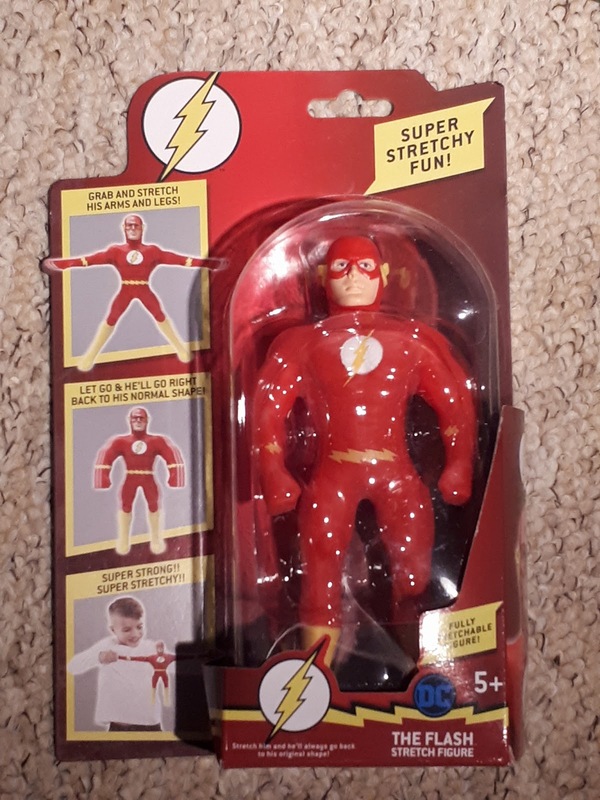 My son loves anything superhero, so I'm confident the new Justice League Stretch Armstrong range from Character will provide me with some good stocking fillers. 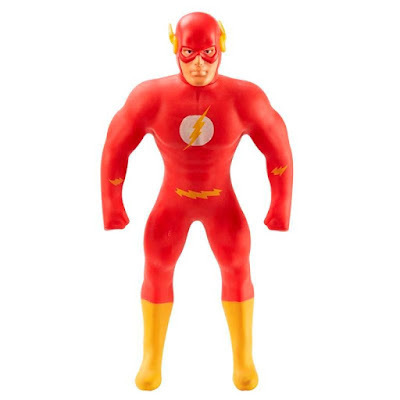 The range includes 7 inch figures of Batman, Superman and Flash. I chose Flash as he is the only one that we haven't got any toys of in Chunk's huge superhero collection. These figures can be stretched, pulled and tied in knots. They return to their normal shape after being stretched and I find it quite therapeutic to stretch it and watch it slowly go back to its original shape! They remind me of the stress putty and stress balls adults use at work, so I'm wondering if this could be a good stress reliever for kids?! These toys are for children aged 5+ and at RRP of £12.99 I think they are a perfect stocking filler. I do not doubt my son will spend hours stretching this and putting it in the most random of shapes, and for once I won't need to fear him breaking another new toy!